Yass recently held their Second Hand Sunday Weekend. So we headed over on the Saturday to see what we could find. We did not find muh there that interested us, and a number of houses did not have anything outside. We think this is because they were only participating for the Sunday. I guess the concept of a Second Hand Sunday Weekend can get a little confusing, Sme people will put out their stuff for the whole weekend, others for one day only. Perhaps having it over one day is a better option. All I did find was a pair of towing mirrors, which I intend on using with the Mobile Storage bunker (aka Caravan). We paid a visit to the Yass tip shop. Usually you expect the tip shop in a country town to be a small operation, but make up for their lack of size with a good management policy, and friendly staff. Yass however was an epic fail. The photos below will show what I mean. That being said, they did have a full on paper, glass, metal recycling facility, that I had a quick look at. And they have a nice stack of computer desks there, either assembled, or still in boxes, for $10 each. 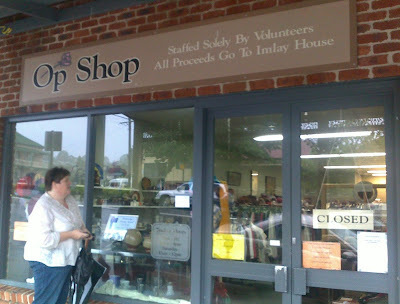 Back in February when Taph and i had our op-shop trek down the coast we paid a visit to the Pambula op shop. We got there just on opening time, but no-one was around, and with storms pressing we figured that we should set off for home before we got flooded in. 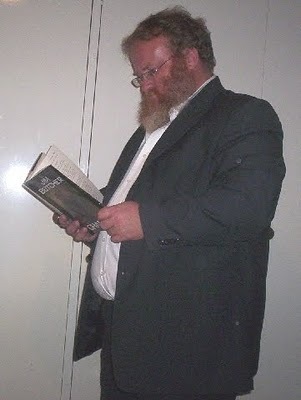 I recently found a story on-line about how the shop has just celebrated 28 years of operations. With summer coming and people from Canberra heading down the coast for holidays, i think this shop is worth a special visit if you happen to be in the area. We've been contacted by the crew at the Old Bus Depot Markets, Kingston. OBDM is having it's first 'green' themed day this coming Sunday, 17 October. Green Savvy Sunday was developed in response to feedback from market customers and stallholders who wanted to have better access to information and products that helped them develop a more sustainable lifestyle and reduce their impact on the environment. The themes of recycle, reuse and low use of energy are things we all want to strive for. Green Savvy Sunday stalls will feature green products and displays to inspire and entice, as well as people to answer customers’ questions, and loads of green information. Green Savvy Sunday will include recycled and UPcycled fashion, food and wine with an organic winery onsite, craft made from recycled materials and skin care products. Experts will also give advice on green products and services, and there’s even a mobile phone drop-off point to safely dispose of unwanted mobiles. OBDM is keen for bloggers to pop by and review the day - they will link to the best blog posts. Go to it I-Oppers. 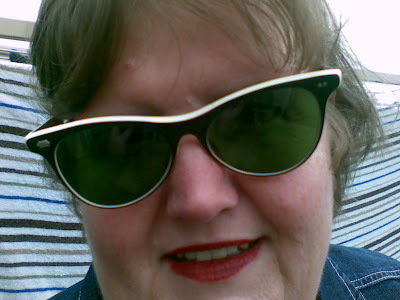 Sorry about the scary self-portrait, but had to show you these truly divine vintage sunglasses. Black and white frames with green lenses. $3 from Vinnies, Gungahlin a few weeks ago. Favourite find in a very long time. We paid a visit to Yass over the weekend. Taph and I were planning on visiting the Yass Vinnies before going on to the Murrumbateman Moving Feast. 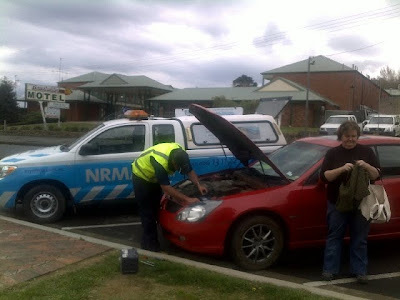 However a dead battery at the toilets left us 2 hours behind schedule and with the realisation that the Vinnies had closed 10 minutes before we got there. Well the country markets were happening at the showground, so we headed that way, but we did not get their either, as when we drove past the Salvos, Taph yelled out, "They're open". I was able to quickly turn the Sub-Zero around and got a rock star park out front. The Shop is only open on Thursdays and Fridays from 10am to 12:30pm. For some reason the op-shop gods knew we were coming and had arranged for it to be open on a Saturday. Inside was a small and tidy shop, with reasonable prices, but due to their floor-space, a fairly limited range. However it was so good, we didn't bother trying to get to the country markets. We headed out to the moving feast, and to find out what happened there, you will have to go to my blog. The YMCA Garage Sale starts at 8am in Meuller Street, Yarralumla. Not the mega sales they used to be, the Y sale is still great value. From 1-3pm, the Finnish Lutheran Church on the corner of Gould and Watson Streets is having a fete/op-shop. TOF and I experienced this wee gem back in July and it was great. If you get there early, you can buy coffee and Pulla (a traditional tea bun) from Noon. Vinnies stores are offering a $5 voucher to spend on your next purchase when you spend $20 or more in a single purchase between 1 Oct and 30 Nov 2010. This appears to be part of Vinnies Spring "Feel Good Shopping" Campaign launched last week. The ambassador for Vinnies is Miss World Australia ACT, Claudia Vannithone. Obviously a campaign to attract a new generation of opshoppers. got their Spring thing together with Buy Nothing New month. Register your buy nothing new idea and win a prize. They're even blogging it! Do let us know if you enter. 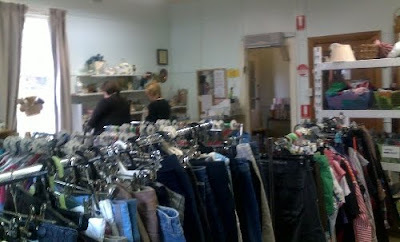 While the date for the next Second Hand Sunday in Canberra has yet to be advertised, the Yass Valley Shire will be having a Second Hand sunday Weekend on Saturday, 23 October and Sunday, 24 October 2010. For more details keep an eye on the Yass Shire website. Asteria left a comment about where she could sell her second-hand clothes. Anyone know of consignment shops in the area? Salvos at Mitchell has brought out the craft materials that have been absent from its shelves for some time. Tables of fabric remnats, baskets of yarn, notions, tapestry and cross-stitch kits and sewing and knitting patterns are all there.